Okay, so there is export surplus and there are gorgeous accessories at cheap prices. But then there are also a few amazing wardrobe staples and some funky tops that are available at just Rs 50 at our beloved Sarojini Nagar! No, we&apos;re not kidding! We went to this fashion hub for a spree and came across a number of Rs 50 stalls that were put up almost everywhere. Read on to know everything about our 50 buck haul. While strolling through the lanes, we came across a gem of a shop that was flooded with all things cute and peppy. Loaded with huge bundles of clothes, it took us quite a few minutes to find this Boho top hidden beneath the clothes hill. Though a little baggy, this can easily be paired with a belt or sassy earrings to make the best out of it! Yes. 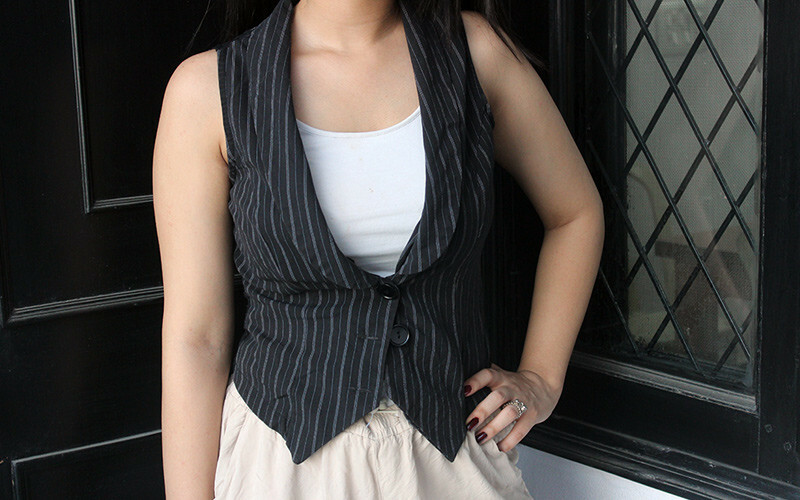 We actually found a waistcoat under 50 bucks! Snuggled up among heaps of clothes, this one was love at first sight. It’s laden with pin-stripes and has a beautiful back covered with floral lace. Needless to say, it was a true catch. It can be easily worn on both professional and casual occasions with pants and jeans alike. There is no doubt that a sleek brown belt is a wardrobe staple and so the next thing we bought for ourselves was this tan leather brown belt! These belts are available everywhere on the streets of Sarojini - these belt sellers keep nudging you in the middle of your shopping spree and sometimes they turn out to actually have some good stuff (just like this time!). What can easily be passed as a branded crop top turned out to be one of our last picks for the day. Hanging silently in the midst of a bevy of other tops, this top caught our attention in a jiffy. We couldn&apos;t believe when we saw it was just under 50 bucks. Needless to say, we bagged it without a second thought! Just when we thought that we’ve bought enough clothes under Rs 50, we came across yet another shop that bestowed amazing clothes upon us! 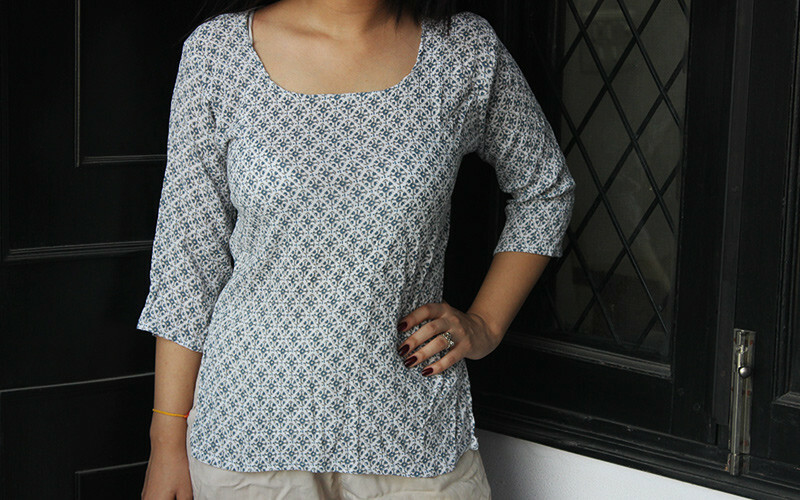 While leafing through the usual tops, we found a really cute printed medium length top. A day well spent indeed! #QuickShoppingTip | Yes, some of these weren&apos;t easy to find. You have to dig deep in those bundles of clothes and find the tops that suits your fantasies. Trust us, Sarojini has a lot to bestow on us under 50 bucks! Feeling rich already? Head over and splurge on!